Dale Moore has been carving and microcarving for years. A start in carving anatomy, hands and feet, gave way to detailed flowers, and wood carving for restoration like at the Noble Brandon Judah Manor House Estate and replication. 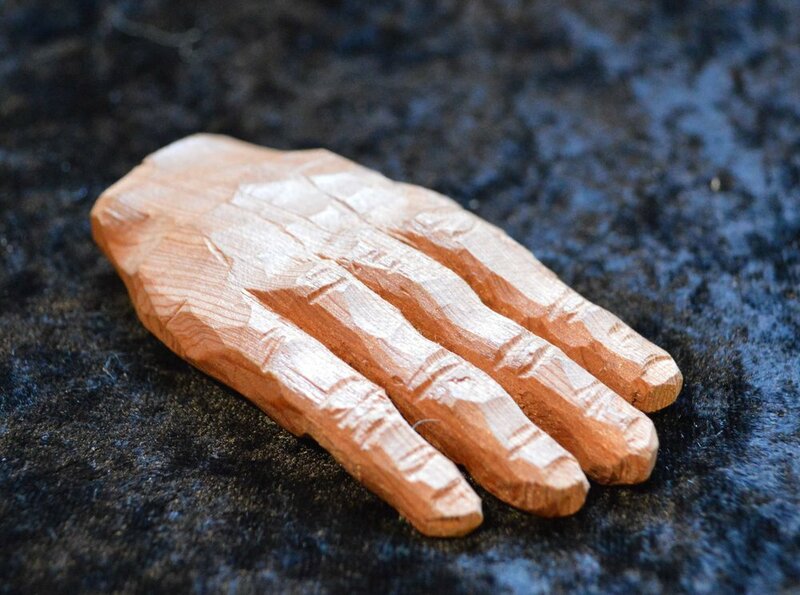 Wood carving takes a steady hand and a keen eye for detail. View our Shopping Page to see Dale's intricately carved flowers inspired by nature. Do you have a gift idea for a loved one that you would like to create, but don't have have the expertise? Call JOYMARK at 847-668-3806 to discuss your custom wood carving project. I have worked with Dale Moore for over 25 years on countless building projects. It is always a pleasure to work with Dale on these projects, because Dale has the skills and insight to create, and invent one of a kind solutions or products to turn a generic outcome into a beautiful piece of art. I have seen Dale design and build a 25 foot tall wall and custom build a one of a kind flip up window for one home. I have met many of Dale’s customers and I always hear the same remark, thank goodness we found Dale for our project. Dale Moore is a five star general contractor. For more testimonials, click here.